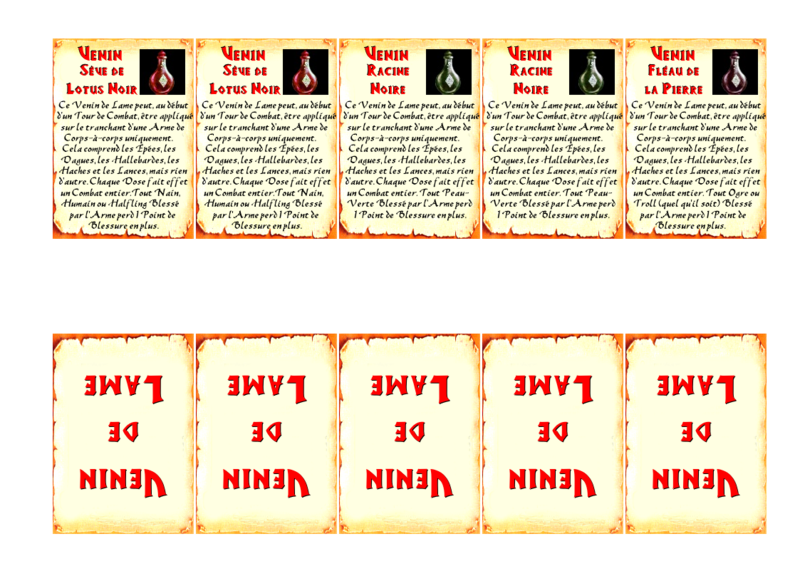 Here are my actual work on Items Cards for Advanced Heroquest. 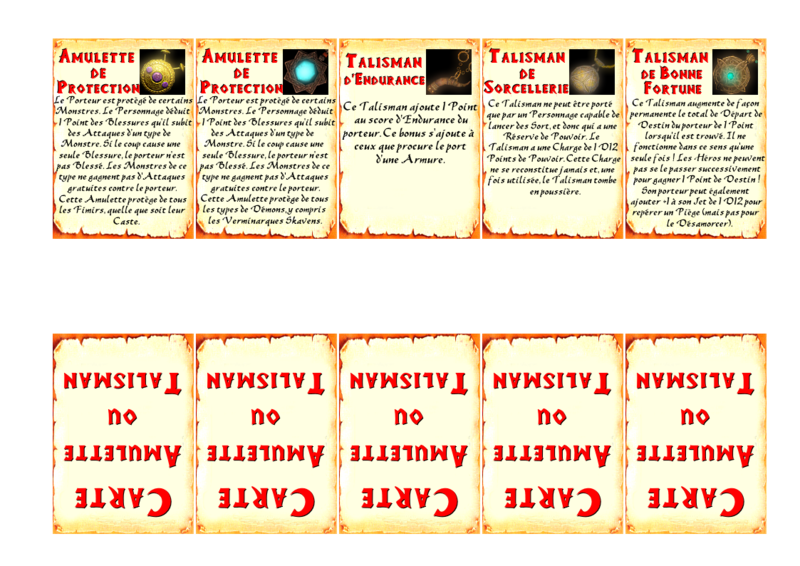 For now, there are Potions, Blade Venom, Magical Rings, Amulets and Talismans. 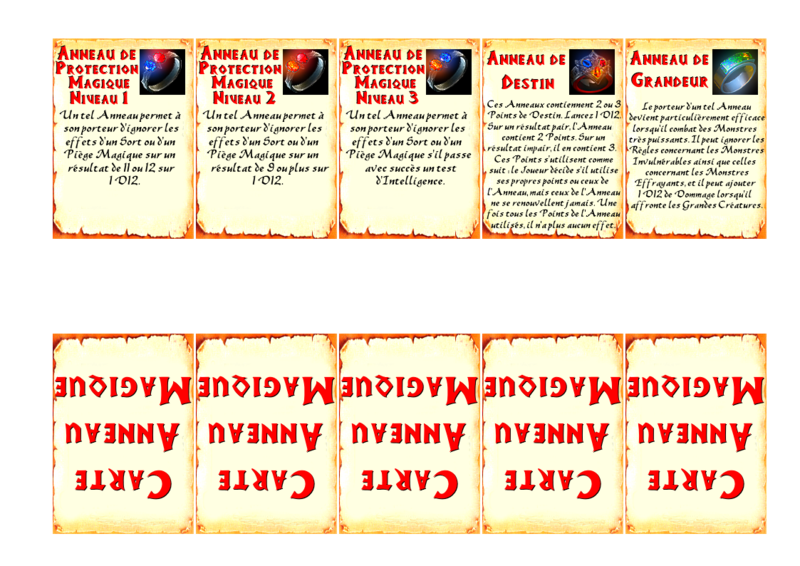 All of those are in french and are not used to replace dice rolling on various treasures tables, but to have a quick and easy reading on each item you have in possession. More items are to come, like Magic Weapons, Armours, Cloaks, Magic Jewels and so on.